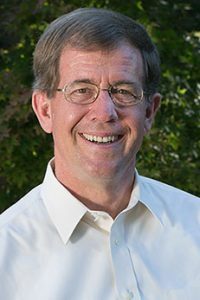 The Wesleyan Covenant Association is pleased to announce that Bishop Scott Jones will speak at its Third Global Gathering at Mt. Bethel United Methodist Church in Marietta, Georgia on Saturday, November 3, 2018. Bishop Jones’ address, “Unashamed of the Gospel,” is part of the Gathering’s “Unashamed!” theme. The event is expected to attract thousands of United Methodists across the connection. A prolific writer, Jones has authored, co-authored and edited numerous books and written many articles for journals and magazines. Some of his most popular books include The Once and Future Wesleyan Movement (2016), Ask: Faith Questions in a Skeptical Age, (with his son, the Rev. Arthur Jones, 2015), The Wesleyan Way: A Faith that Matters (2013), Evangelistic Love of God and Neighbor: A Theology of Discipleship and Witness (2003), and John Wesley’s Conception and Use of Scripture. Elected to the episcopacy in 2004, Jones currently serves as the resident bishop of the Texas Annual Conference. Prior to his current episcopal assignment he led the Great Plains Annual Conference, which was a merger of the Kansas East, Kansas West and Nebraska Annual Conferences in 2012. He also serves as bishop of the United Methodist missions in Laos and Thailand. Ordained deacon in the Kansas East Annual Conference and elder in the North Texas Annual Conference, Bishop Jones served congregations in the North Texas area before accepting a faculty appointment at Perkins School of Theology, Southern Methodist University in Dallas, Texas. He received degrees from the University of Kansas (B.A. in Philosophy), Perkins School of Theology of Southern Methodist University (Master of Theology) and Southern Methodist University (Ph.D. in Religious Studies). His dissertation research was focused on Wesleyan studies and the history of biblical interpretation. Jones currently serves as chairperson of the denomination’s Committee on Faith and Order. He also serves on the Board of Trustees for Southern Methodist University, the Texas Methodist Foundation, and Houston Methodist Hospital. He is married to Mary Lou Reece, who is president of Reece Construction Company. They have three children: Jameson, Arthur and Marynell.